Kickass McAwesome: It's Super Effective!! Okay folks, here it is, first comic about video games, and I picked a good one to start with, a good one, one that will let everyone in my audience know that I am a cool guy, and I play cool games! "Is it the new Madden?" You may ask. No it is not Madden. God no, I'd say in response. "Is it one of the beloved franchises from Nintendo, Like Zelda, or Mario?" 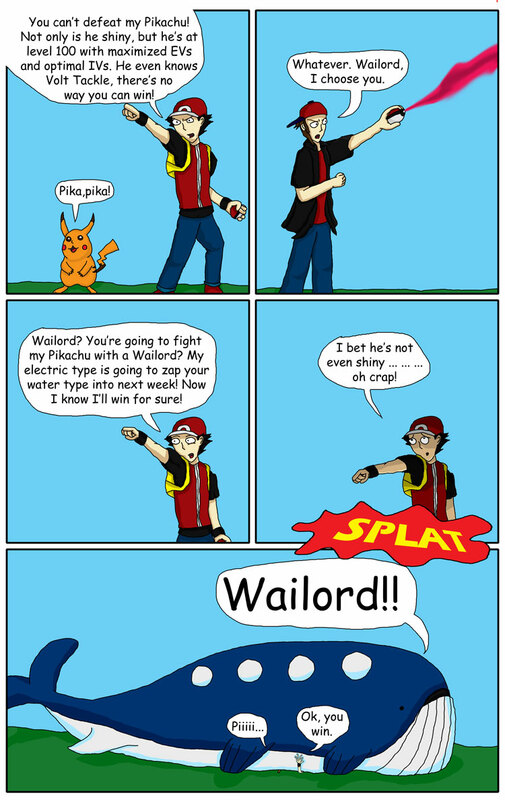 Well anyways, here's the comic, and if the comic is a little over your head just know that at nearly 50 feet long Wailord is the biggest pokemon in the game, yet somehow it weighs less than 1000 pounds. Someone needs to inform the guys at Game Freaks how much whales actually weigh.